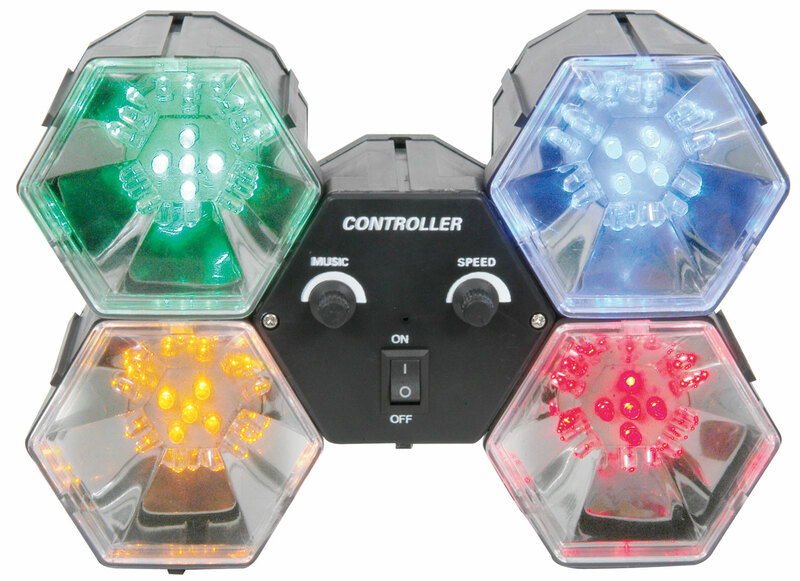 LED Interlink light is a novelty lamp which includes four different coloured LED modules (red, blue, yellow and green). Each LED module has a reflector and 5 LEDs. The product has chase and sound activated functions.